Full Disclosure: I recently became a huge Mexico fan. Or more accurately, I recently decided that I want to become a huge Mexico fan. Although growing new allegiances to a national team is a big deal, it’s not exactly the same as converting to a new religion, because America and the U.S. team will always come before anybody else. But for the first time ever, I have a strong Number 2, a second team and country that I feel emotionally invested in and that I have the desire to advertise, like: “Hey everyone! I am rooting for Mexico!” as if anyone would care. 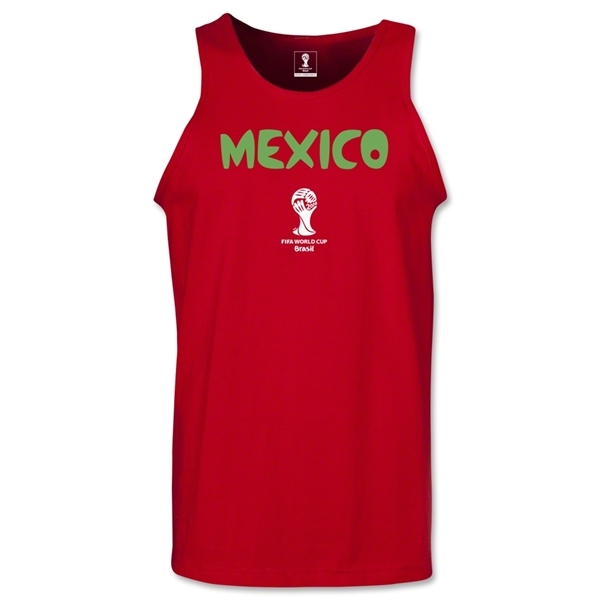 I just bought a Mexico 2014 tank, and I plan on wearing it all the time no matter how far the team goes in this World Cup. The Tank. Should arrive before the Brazil match. Fingers crossed. The whole process, the whole falling in love with a team, watching their games, buying their gear, learning all about the players—it’s a beautiful and rewarding experience that I haven’t gone through in a while. So far, I only know about 12th man Chicharito, the steady midfielder and passer extraordinaire Rafa Marquez, and today’s goal scorer, Oribe Peralta, who is my favorite player. I now also know of Giovanni Dos Santos thanks to his beautiful goals today, both of which were erased by ridiculous offsides calls. I hope Chicharito’s belief that the disallowed goals fueled the team’s fire is accurate, because it’s crucial that Dos Santos stays hungry and keeps finding those open spaces in front of goal. He still has the potential to have a huge World Cup, as does Peralta. 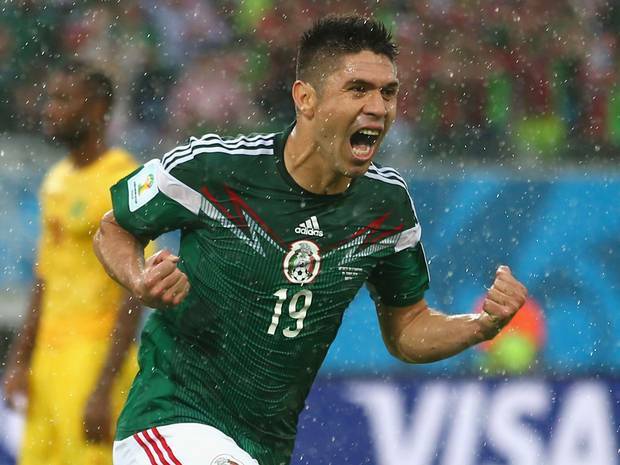 Oribe Peralta thriving even in the downpour. 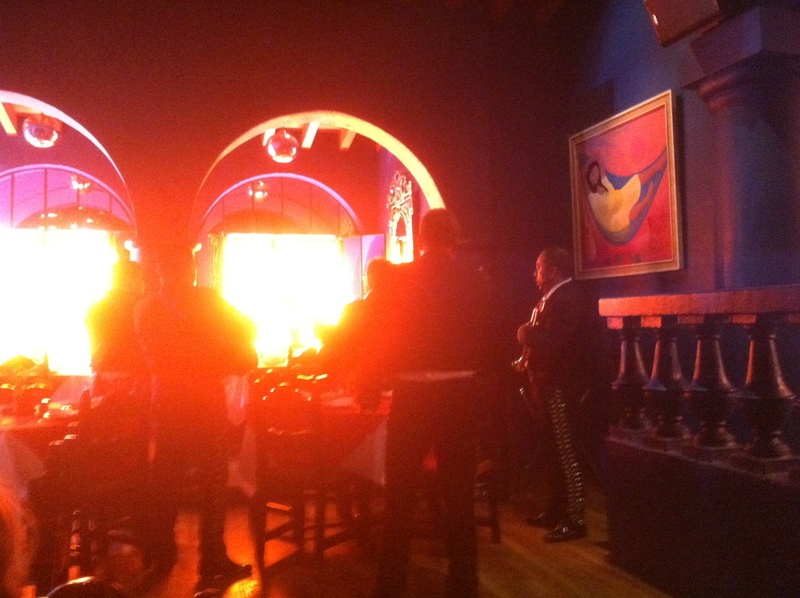 You might ask why I have chosen to love Mexico, and my answer would be that it was not a choice at all. Think back to a time when you went to a place and spent time with the people, then saw the local team play, maybe heard the fans in the stadium or at a bar or admired the style of one of the players. I have had such experiences with teams like the Philadelphia Eagles, Chelsea FC, and the Georgetown Hoyas and even more frequently with individual players like Neymar, Steph Curry, Shabazz Napier, and Johnny Manziel. I can recall where I was at important moments in my love affair with each of these teams and players. I remember the Chelsea v. Charlton game at Stamford Bridge my grandma took me to in 2006—the tickets were sold out but I got to hear and feel the crowd and be there to inhale the atmosphere and shiver with excitement. I also remember taking a break from warming up before an offseason basketball game at the Blue Barn in Marlton, NJ to catch a few minutes of Stephen Curry as a Davidson phenom lighting up Wisconsin, becoming only the 4th player in college basketball history to score 30 points in his first four career NCAA tournament games. He had beaten my beloved Georgetown the week before. I digress only to discuss the nature of fully and irrationally falling in love with a sports team or player. So why Mexico? My feelings toward the Mexican soccer team are not exactly irrational, but they are based off just one week of my life, which makes my decision (or non-decision) seem hasty. That incredibly special week was spent on the Arizona-Mexico border with a group of awesome kids at the Santa Cruz County Summit for Youth Leadership. After a week of teaching, advising, playing soccer, and hanging out with 200 high school students from the area, some of whom were American citizens and some of whom were not, and most of whom spoke Spanish as their first language, I became very interested in and enamored of Mexican-American and Mexican culture, including the peoples’ love of fútbol. It was almost discernible in the air, with baseball as a close second sport, despite the temperature each day hovering around 100 degrees Fahrenheit. Somehow, the dryness, the general atmosphere, and the attitudes of the kids in the game, all made playing soccer under the uncomfortably hot sun super fun and correct, like: Of course we’re playing soccer again. What else would we be doing? It was such a surreal and positive experience that I am going to devote time and money to learning some Spanish this summer. 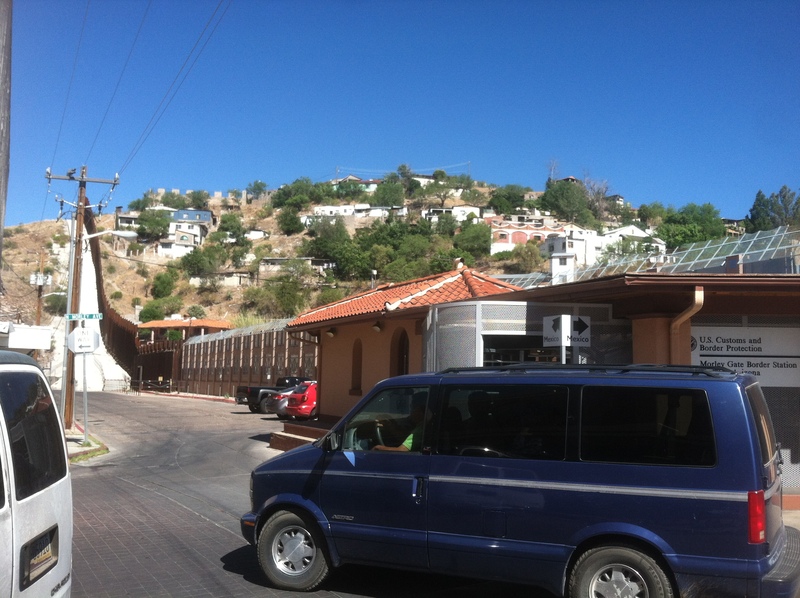 While I was in Arizona, I also got a few chances to cross the border into Nogales, Sonora, Mexico and eat some of the best tacos I’ve ever had. I purchased a hacky sack—which I’m terrible at —and watched Mexico’s last friendly against Portugal—which they lost 1-0. There weren’t many people in the restaurant watching the game with us, which caused me to question the dedication of the Mexican fan base. But my hosts assured me that it was way too early for people to be out and about and that everyone was watching in their homes after work. I remember the walk back to the border in the dark through the dim lights of Nogales, Sonora as if it were yesterday. Thinking about my time in Arizona and Mexico and about all of the soccer I had played with the kids, the adoption process became complete. I’m not sure if Mexico adopted me or if I adopted Mexico, but I can say with confidence and excitement that I am pulling hard for El Tri in the 2014 World Cup. I can’t wait to wear my new tank. I’m reading up on the players and strategizing about tying Brazil and then we’d only need to tie Croatia to advance! I find myself talking about Mexico and saying “we.” It’s startling and fun. Rather than that awful Pitbull and J Lo song, which is a lot worse than Shakira’s 2010 Waka Waka, my World Cup 2014 Anthem is a song by Mexican rapper C-Kan called Esta Vida Me Encanta (feat. Zimple and Don Aero). One of the kids from the Summit showed it to me, and I have no idea what any of the words mean, but it sounds really cool. It is kind of hard rap, but to me, the song sounds like Mexico and more goals and a shocking upset of Brazil and a World Cup that the Mexican people can be proud of. I’m amped!